The time is now and we say yes to families in need. At the YMCA it’s our social responsibility to ensure children and families thrive. We focus intensely on Youth Development and Healthy Living. Our after school programs at Del Roble, Terrell, and Almaden schools target low-income underrepresented youth who are at-risk of academic failure. We commit each and every day to provide youth with quality after school programming that includes academic enrichment, nutrition information, physical activity, healthy snacks, and most importantly a safe place to be after school. 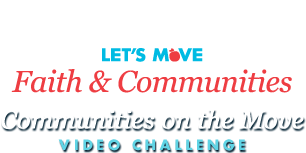 The Let’s Move campaign aligns wonderfully with YMCA goals and expectations for our community. We make it a priority to provide nutrition education such as cooking clubs, tasting activities, my plate workshops and provide community resources for families to have access to fresh fruit, vegetables, and healthy food. Our programs provide creative opportunities for children and families to exercise through sports, group games, cultural dances and Zumba classes. We not only focus on the current need of families but also work to help them sustain a healthy life for years to come. We recognize no one agency can take on the responsibility of this audacious task alone; it requires community collaboration. We partner with schools, local churches, food banks, and government agencies to make it all happen. Let’s move America! The YMCA of Silicon Valley is really providing tremendous leadership in the community, providing access for children and their families to have a healthier lifestyle. The South Valley Family Y collaborates with the school district, food banks, hospitals and the local university to create a coordinated school health approach . Y after school staff work with families to understand their personal needs and has really created a safety net to ensure that every child has an opportunity to be at their best each day. They are really changing and saving lives! Great video, SV YMCA. Fingers crossed! Love the video! Love the impact you are having! GREAT JOB South Valley!